The market of cable production in Russia continuously extends. It is natural that manufacture of almost all types grows, first of all, cables and wires of power appointment. The Group of the cable&conductor equipment of "EnergomashKapital" PLC understanding that cable production for nuclear plants is a typical example of difficult production, for which the price is not unique defining criterion, is guided at definition of the optimum supplier along with price indicators, technical characteristics of offered products, to their full conformity to technical requirements of the project and qualification the supplier. 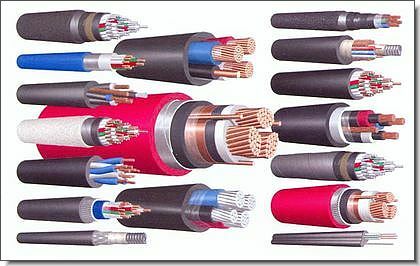 Proceeding from it, and in connection with high requirements, shown to the cable production intended for use in nuclear engineering, we, as the complex supplier of a cable for the Russian nuclear power plants, we work only with the leading domestic enterprises of branch, letting out all nomenclature of the cable production necessary for the atomic power station. It's JSC "ABB" MosKabel", holding "UNKOMTECH" with two industrial enterprise - " IrkutskKabel" PLC and "KirckKabel" PLC, "ElectroKabel" Kolchuginsky zavod", "Rybinsk-kabel" PLC, " SletskKabel" PLC, JSC "NP PodolskKabel", FGUP OKB KP. For today it is successful, effectively working, universal enterprises which are letting out wide assortment of cable&conductor equipment of various nomenclature groups which is widely known and is in demand not only in Russia, but also behind its borders. Therefore quality of production for these manufacturers it is not simple words, it some kind of ideology by which all factory processes are subordinated. The enterprises have licences for manufacturing of cable production for the nuclear power plants, The quality management system is certificated on conformity to the European standard of quality management ISO 9001:2000. As a result of ours cooperation for today on the Block N2 of the Rostov NPP it is successfully put more than 1.5 thousand kilometres a cable, including participating in systems of giving of pressure on the own needs and in systems providing " passage on opened reactor".